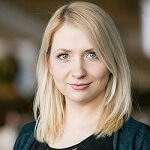 Bede Gaming revealed their plans at the end of January to begin offering Playson online casino content on their gaming content aggregator and marketing tool, PLAY. This has allowed Bede to leverage its relationship with Playson to add more than 40 fully HTML 5 compatible slot titles to their online library. Adam Daniel, MD for Playson, said that they are really looking forward to introducing many new players to Playson software through this new deal. He went on to praise Bede’s PLAY platform that makes integration so much simpler and also safer, minimising the security risks inherent with complex online gaming networks. 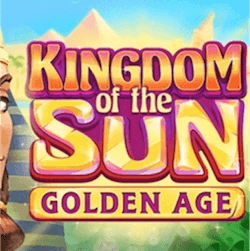 Now Playson are back in the news with their latest slot entitled Kingdom of the Sun: Golden Age which will seem instantly familiar to slot fans that saw the release of Legend of Cleopatra, also from Playson, which features almost identical graphics and characters. Both games play out in ancient Egypt with bonus filled pyramids and wild filled reels. This game looks to continue the success that Playson saw with Treasure of Tombs, Taiga, Viking Gods and Crystal Land. Kingdom of the Sun is fully HTML5 compatible, just like all other Playson titles, so this slot can be enjoyed on mobile devices. While Playson isn’t the most seasoned developer out there, they do have a firm grasp on good slot mechanics and this means that no matter what their slot’s theme may be, you can rest assured that the game play mechanics will be rock solid. While Kingdom of the Sun may look similar to Legend of Cleopatra, make no mistake, it is quite a different game. It has gone for a much simpler layout as compared to the 100 payline Legend of Cleopatra and its complex reel layout. Kingdom of the Sun simply features 15 paylines and a 5×3 reel pattern. Wagers start small with a minimum wager amount of 0.30 available, going as high as 150. The Kingdom of the Sun special features includes the Spreading Bonus, the Compass Bonus and the Ultimate Wins feature. The Spreading Bonus sees all the lower value symbols on the reels turn into special bonus symbols. The Sun Compass feature turns symbols in a row into high value special symbols. The Ultimate Win feature pays out the jackpot amount of 52 500.